Joseph Penn Gibson Davis Jr.
Joseph Penn Gibson Davis Jr. was born on March 17, 1953 and left this earth on February 10, 2014. Penn was born in Evanston, Illinois to Joseph P.G. Davis and Hazel R. O’brien. Penn spent his early childhood playing in the woods behind their home in Boston MA. where his sister Elizabeth Ann was born. The family moved to Glendale, CA in 1962 where Penn attended Verdugo Woodlands Elementary, Woodrow Wilson Junior High and Glendale High School. He made many lifelong friends in Glendale before moving to Cardiff, CA to attend the University of California San Diego. Penn earned a double major in Biology and Anthropology. After graduation he and 3 friends explored the North West Coast on bicycle. His next journey was to Santa Barbara in 1979 where he was hired at the Santa Barbara Zoological Gardens in landscape and exhibit maintenance. In 1982 as landscape supervisor Penn designed and cared for the gardens, and received the Santa Barbara Beautiful Award for the zoo. Penn was a compassionate, fair-minded supervisor sharing his wealth of knowledge with his staff. In 1980 he met Julia Parker his lifelong sweetheart, who worked as an animal keeper at the zoo. Zoo employees spent many good times socializing at the East Beach volleyball and at many happy hours. 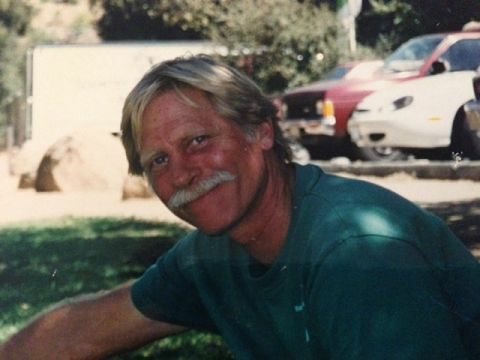 Penn was a daily traveler on the bike paths from Goleta to Santa Barbara. Penn changed gears in 1997 and went to work at San Marcos Growers working in sales, creating water gardens, and cataloging the plant inventory. Penn also was employed at Lotusland revitalizing the Blue Garden,and lotus pond. Penn enjoyed family vacations to the East Coast, Bermuda, and travels with his sweetheart to Mexico, Hawaii, and Egypt. He loved going dancing, following the King Bee Band with his sister and friends and attending the elaborate Easter parties at St. Francis Ranch. He was quick to accompany any band playing the spoons or his bongos. Penn embraced the local and cultural festivities Santa Barbara is known for. He loved a good, intellectual conversation on the meaning of life, physics, and philosophy. Penn was preceded in death by his sister and parents. He is missed by his many friends and loved ones.